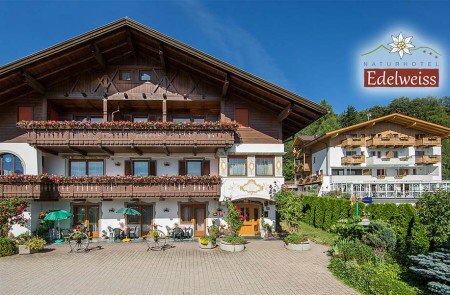 Guests of our Nature Hotel Edelweiss spend their vacation in our sun-village Terento which is the town with the most hours of sunshine in South Tyrol. Here, where the sun seemingly never goes down, the first nature solariums of South Tyrol were created. Situated in two different areas, these solariums guarantee an amazing experience. You will get an attractive tan and a healthy vitamin D intake while breathing fresh mountain air. 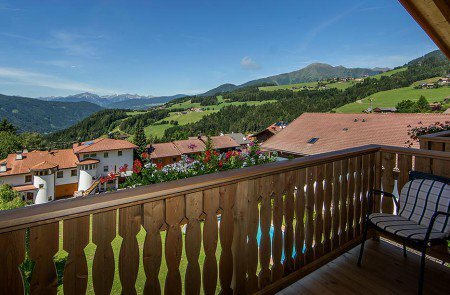 The stunning panoramic view over the majestic Dolomite is free of charge. Just below the town hall you’ll find a leisure park with a huge playground, which is fitted perfectly into the surrounding nature. Besides the fantastic recreational equipment, you can also enjoy the Kneipp facility. The water treading area is loved by all ages and adds to your wellbeing. Since 2013, the newly renovated tennis courts in the Sport Zone Terento are ideal for exciting matches. A soccer field and a volleyball court are also available. The Sport Bar will serve refreshments. 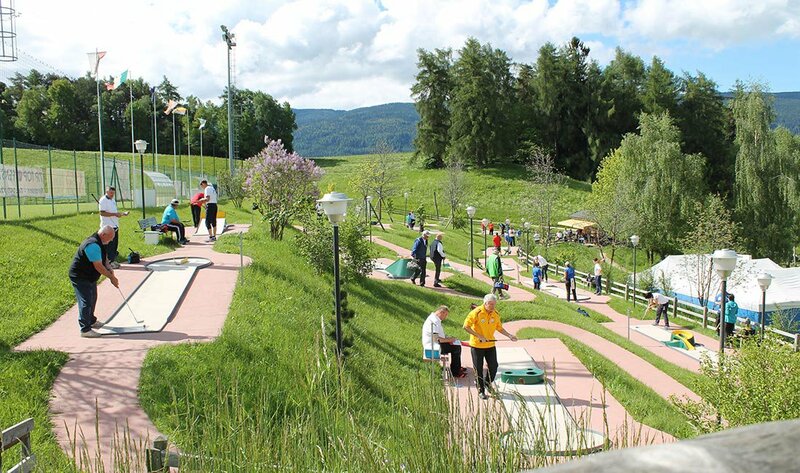 Right beside the leisure park, you’ll find a beautiful mini golf court in front of a fantastic mountain scenery. The Minigolf Club Terento takes care of the parkour and even hosts different tournaments. In the winter, young and old can enjoy a great day on the slopes at the Panorama Ski Lift directly in Terento, as well as on the nearby Plan de Corones. Only 9.4 km and about a 10 minutes’ drive away from our Nature Hotel Edelweiss, you will find the beautiful bathing lake Lago Issengo in Falzes. 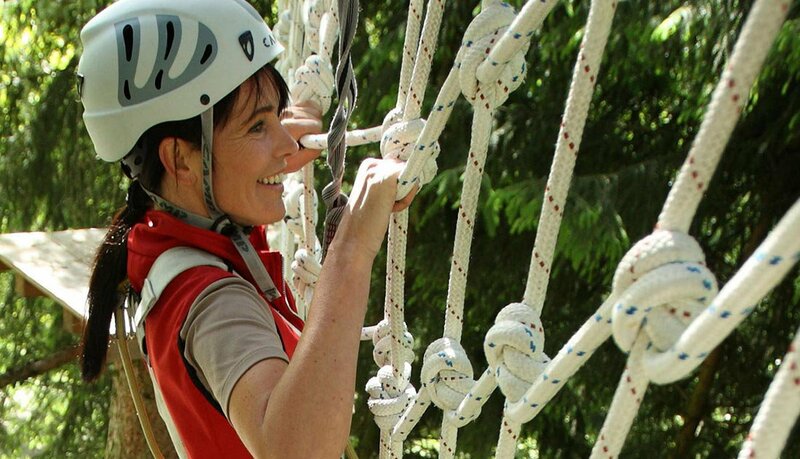 Here, in the holiday region Plan de Corones and directly beside the lake, you can discover the biggest adventure park in South Tyrol. The high rope course “Kronaction” offers ten different parkour with over a 100 stations, which will exceed all your expectations. The training parkour will give you the needed know-how. Small kids may discover the Taka Tuka Park, while the bigger ones can prove their skills in the All-Rounder Fun Parkour. Besides the numerous itineraries for children, teens and grownups can also visit the Expert and Extreme Parkour. Real dare devils can check out the human catapult, which is the newest attraction of the Adventure Park. The human catapult is a very exceptional kind of bungee jumping.